from previous versions of Drupal. those things have also gone into the authoring experience. So what is an authoring experience? Drupal 8 has done quite a few things to make things much easier for site builders to empower content creators. There are more tools in core that tremendously help content creators to quickly add and edit content. These tools are also mobile-friendly which makes content editing possible across more devices. How do these changes help? To start; currently you need to add modules and outside editors just to get an editor in Drupal. The configuration of that editor is very cumbersome with lots of checkboxes and a very unfriendly UI. Besides a better user experience when it comes to configuring the authoring experience, adding and editing content on the go via mobile devices is a must have for today's modern CMS. 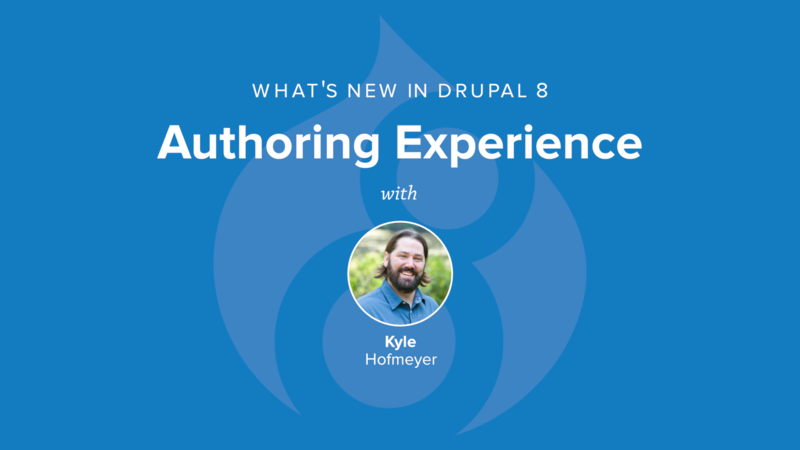 Find out when we release a full series on Content Authoring in Drupal 8. Log in to get notified.